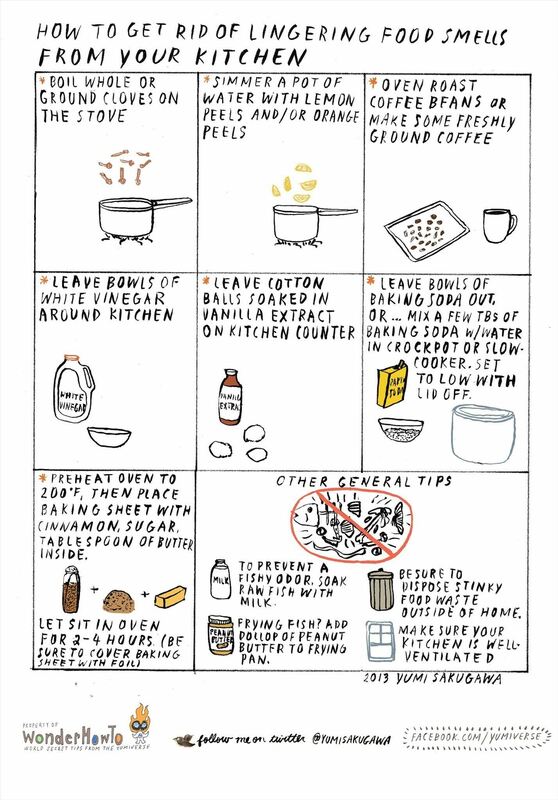 Want to make your kitchen smell like you just baked something delicious? Bake a small amount of cinnamon, brown sugar, and butter on a cookie sheet for several hours at a low heat so that your kitchen smells less like leftover takeout and more like a house full of freshly baked cookies. Don't forget to take preventive measures before cooking up your next meal. Make sure your kitchen is well-ventilated and if you're cooking fish again, try soaking your raw fish in milk first.